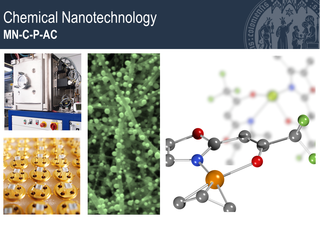 The lecture on Chemical Nanotechnology will be held as a compact course. For 2 weeks every afternoon from 14:30 to 16:30 h current topics of the research area of chemical nanotechnology will be covered. If you want to participate, please sign in at ILIAS!